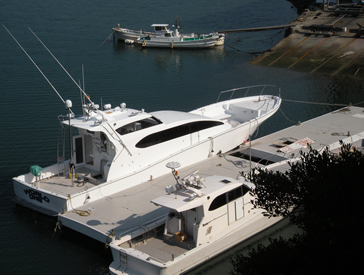 Building & Sales of high performance fishing boats and cruisers Urata shipyard Co.,ltd. The significant characteristics of our boats are well known as being “high-speed” and “light-weight” at the same time. We have been researching and developing for many years to produce the advantages and the dynamics of these features when combined. We have been primarily focusing on the philosophy that “light weight” materials contribute to velocity and energy efficiency as well as improvement in performance. 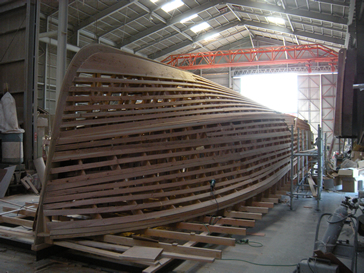 In order to build a light weight boat we cannot just pick a single part and make it lighter. Each and every part needs to be lighter, and the adhesive of each part needs to be lighter. We begin to build the wooden model with the final product in mind. 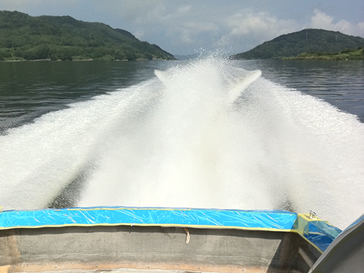 Special attention is paid to produce a light weight boat which is also solid and sturdy. Our technique of creating a light-weight boat is derived from addition, not from subtraction. Creating the ultimate high-speed boat requires much more than just a powerful engine. The design of the deck, interior layout and the decor can be vastly different in all our boats depending on each owner’s preferences. These factors can affect the weight and balance of the boat. Since our goal is to customize each boat, which meets our client’s specifications, there are no two boats alike in the world. Each boat is uniquely created and individually hand-crafted. We consider all the aspects in the selection and installation of the engine including the setting of the drives such as shafts, transmission and propellers to assemble a one-of-a-kind high-speed boat with high performance energy efficiency. We are proud of our clients’ satisfaction resulting from our excellent standards of shipbuilding since inception. Urata clients are especially impressed not only by the speed, but also the steady ride in rough water and also the effortless glide when on high speed. At Urata, our goal is to continue developing and manufacturing superior boats for today and the future. copyright (C) 2013 Urata Shipyard Co., Ltd. all rights reserved.